Pertubuhan Akitek Malaysia (PAM) - Malaysian Institute of Architects - is the national professional institute representing architects in Malaysia. 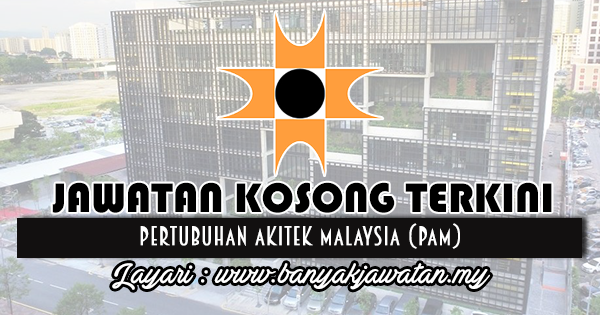 PAM was founded in 1920 as the Institute of Architects Malaya. In 1948, the name and consequently the Constitution were changed to the Federation of Malaya Society of Architects (FMSA) which was allied to the Royal Institute of British Architects (RIBA). Another change in name to reflect national sovereignty, and registration under the current name, came about when PAM was registered with the Registrar of Societies on 20 January 1967. 0 Response to "Jawatan Kosong di Pertubuhan Akitek Malaysia (PAM) - 30 Disember 2018"